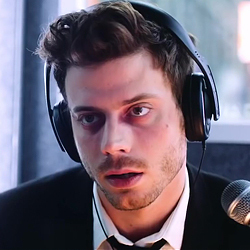 Check out the new teaser trailer of Rapid Eye Movement, which stars François as a publicity seeking radio DJ who is driven to the edge of insanity when he attempts to break the 11-day world record for staying awake, under the threat of a deranged caller who will kill him if he falls asleep. Looking forward to this movie! There’s no official release date yet, but it’s expected to come out this year.